4 Mile Hikes - Fairfield, Iowa - Tune into our Vibe! Why go for a four mile walk? Walking is a GREAT way to get some exercise without draining yourself of energy. The benefits of walking four miles a day are endless. Not only will your overall health improve, it can also help mental wellbeing! Exercise is a great way to reduce stress and gain endorphins. 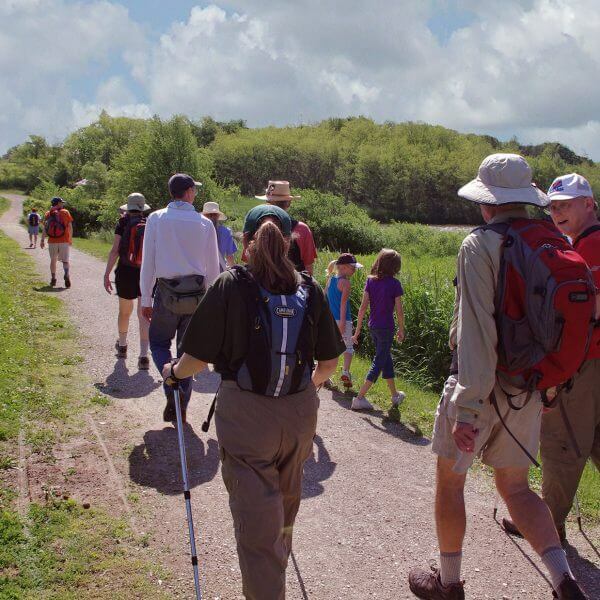 Bring your bug spray, binoculars, and sense of adventure for this two-mile romp through Lamson Woods State Preserve and the Neff Wetlands.Begin at the Lamson Woods trailhead near the three-way intersection of Fillmore Avenue, Park Street, and Mint Boulevard.This walk begins at a large grassy open area which is the perfect site for a picnic or a game of ultimate Frisbee.In the evenings of the warm summer months, a local hot-air balloonist frequently uses this green area to launch flights. As you travel east on the trail, you will quickly enter the timber and find yourself on the Carl Zillman Bridge. This is the longest bridge in the Jefferson County Trails System.Pause for a moment and enjoy the serene beauty of Crow Creek as it courses under your feet. Continue across the bridge and turn right through the gate at the first bend in the bridge.You have now entered Lamson Woods State Preserve, which is managed by the Iowa State Preserves Board. This is a populat bird-watching vantage point and has a gazebo perfect for birdwatching and resting. This trail is a primitive, natural-surfaced, single track trail.The trail is often wet, muddy, and has downed timber across it in places.Make your way through the woods, staying to the left whenever you come to a fork in the trail.You are sure to encounter mosquitoes, thorns, burrs, and many other joys of the forest habitat. As you crest the top of the hill, you will emerge into an open pasture.This is a particularly dark area, which is perfect for viewing fireflies in the summer twilight, and stargazing on clear nights.Wind your way through the pasture and on more single track trail to eventually come parallel with Glasgow Road on your right.You soon come back to the Loop Trail proper.At this juncture you may turn left to continue back to the start, or extend the trip by continuing on the Loop Trail. Walking back to the southwest on the Loop Trail, you are now in the Neff Wetlands.The trail in this location forms a dike to create the wetlands.The trail does flood during large spring rains.If you visit in early spring, you will be greeted by a deafening choir of frogs singing in the wetlands. Have a love of history? Start your four mile walk at Maasdam Barns just south of the hospital.Maasdam Barns was a 20th-century draft-horse breeding business and the two barns on the premises were designed by the Louden Barn Design Division. After touring Maasdam Barns start your walk or preferred form of exercise west on the walking trail. 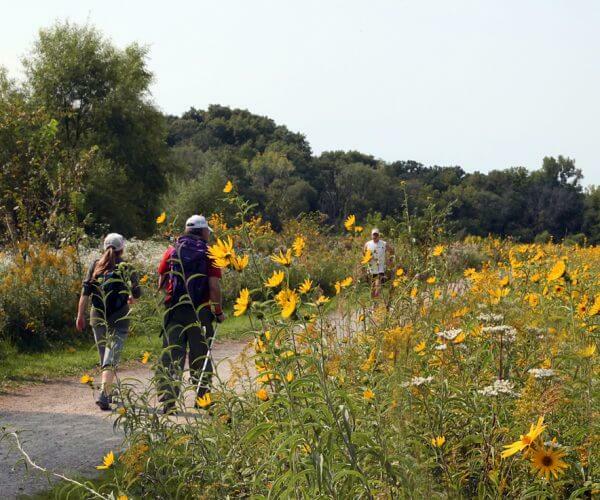 Enjoy the Iowa weather and crops as you walk along the relatively flat trail. The trail is part of the 17-mile Loop Trail that Fairfield proudly built. When you reach mile marker two you can turn around and walk back to Maasdam Barns or keep walking along the trail. Start your walk by driving to Suburban Heights Parking lot in Fairfield and parking your car. Once parked start your journey by walking west towards the loop trail. Once on the Loop Trail walk south on the pleasant trail to the two mile mark. Once at the two mile mark, walk north to the 3 ½ mile mark. If you wish to walk farther keep walking on the Loop Trail. If you wish to finish your walk, turn around and head back the same way you came to Suburban heights parking lot. Grab your binoculars, walking stick and love of the woods on this four mile walk on the Loop Trail through Whitam Woods. Starting at the entrance of Whitam Woods walk through the beautiful trail until the 5 ½ mile mark. Once at the 5 ½ mile mark turn around and walk to the 3 ½ mile mark. If you wish to continue exercising or viewing the magnificent nature of Fairfield you can continue walking on the Loop Trail. If you wish to finish your walk continue back to the entrance of Whitam woods. Put on your walking shoes and get ready to work up a sweat on this four mile walk. Start your walk at the BNSF parking lot just north of Dexter Laundry Inc. Once in the parking lot walk south and west to the 5 ¼ mile mark. Once you have reached this mile mark, turn around and walk to the 7 ¼ mile mark. Once at this mile you can walk further on the trail or you can turn around and walk back to the BNSF parking lot. 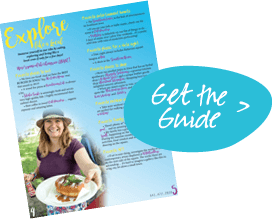 Lace up your walking shoes and get ready to have some fun on this walk. Start your adventure at the Ferrell Gas parking lot, just north on highway #1. Once at your start destination walk west to the 7 mile mark. At this mile mark turn around and walk to the 9 mile mark. At the 9 mile mark you can continue to walk a longer distance or walk back to the Ferrell Gas parking lot to finish up your four mile walk. Get ready to see some neat nature on your four mile walk by Bonnifield Lake in Waterworks Park. Start at the north parking lot at Bonnifield Lake and walk around the lake to the loop trail. While walking around the lake notice all the marvelous greenery and the gorgeous lake. Feel free to stop at the many benches along the trail and soak up the stunning nature that Fairfield has to offer. Once you have walked around the lake, walk east to the 9 ¾ mile mark on the Loop Trail. At this mile mark turn around and walk to the 8 ½ mile mark. At this mile mark you can continue trekking through the charming trail or can walk back to the parking lot to finish your four mile walk. If you feel like cooling off after your walk you can take a dip in one of the designated areas for swimming in Bonnifield Lake. Better yet, make an afternoon out of your walk and have a yummy picnic on the stunning grounds of Waterworks Park. Grab your water bottle, love of exercising and nature on this four mile walk around the Walton area in Fairfield, Iowa. Start your journey at the Walton Club parking lot. Once parked walk north to the 9 3/4th mile marker on the Loop Trail. Enjoy the view of ponds and grasslands on this walk. At the 9 3/4th mile marker turn around and walk to the 11 ¾ mile marker. If you wish to keep exploring the area continue on the trail. If you wish to finish your four mile walk continue back to the Walton parking lot. If you are hungry or in need of a drink go the Walton Club for some delectable treats. Put on your walking shoes and grab your sunglasses and walk this four mile trip starting at Surburban Heights. Once at Suburban Heights walk west on Cedar View trail until you come to the west gate. Turn around and walk across Suburban Heights Road to where the trail splits and goes into Jefferson County Park or Chappell Studio.If you decide to continue walking into Jefferson County Park enjoy the nature that they have to offer with different animals native to Iowa and gorgeous plants and trees. If you have young ones along JCP has a few playgrounds that are awesome to play on. If you choose to end your walk turn around and walk back to Suburban Heights parking lot.